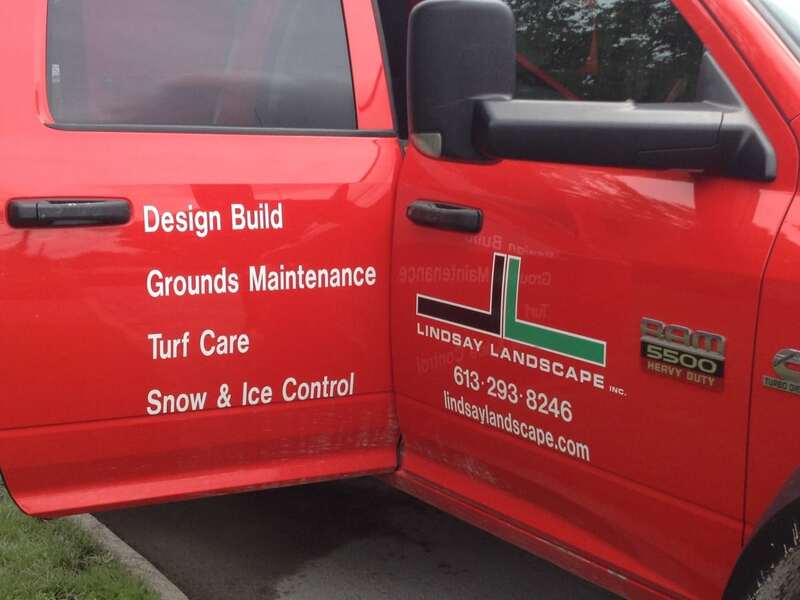 Lindsay Landscape has recently been called upon to help homeowners safely clear this from their properties. I want to share some information with all of you so you can be aware of this plant, protecting your property values at the same time. An invasive species which is becoming a problem for Ontario, including the Ottawa Carleton region. It has been found that Japanese Knotweed takes 20-40 years after initial planting to expansively spread. This species was introduced to North America in the late 19th century, planted for ornamental purposes as well as erosion control and forage for livestock. It has now become an aggressive plant, particularly in Ontario. It is considered to be one of the top 100 invasive species in the world. Where does it like to grow? Japanese Knotweed thrives in full sun, open and exposed sites. But, this attractive, but invasive species also thrives along river edges, wetlands, ditches, along roadsides and fence lines. It can often be found on old homestead land where it may have been originally planted as an ornamental. Because it thrives along river edges, rhizome pieces can be dispersed in the moving water quickly spreading the plant. The seeds are usually spread by wind. It is salt tolerant and can survive extreme climates and site conditions. What harm will it do if I have it on my property? 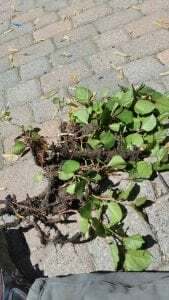 Most importantly for homeowners to know is the Knotweed rhizomes spread so vigorously that they can damage home foundations, grow up through interlock patios and driveways, or through your deck boards. This plant can also grow through asphalt up to 8 cm thick! This species is known to degrade wetland and river habitats. Dense growth of Japanese Knotweed will reduce sun penetration by so much that it prevents other plants from growing. There is also some preliminary studies which suggest that it may also change the soil chemistry prohibiting the growth of native species. 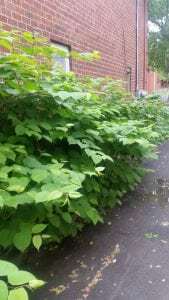 What should I do if I have Japanese Knotweed on my property? Calling a professional is recommended as there is a certain protocol for removing and disposing of this aggressive plant. Please remember if you pull any of this out of your gardens, to dispose of it properly. Place all plant materials in thick black plastic bags. Leave the bags in the sunlight for a week then send to a landfill site. If you live in an area where burning is permitted, this is the best method to dispose of it. Please call the office 613-293-8246 if you have Japanese Knotweed on your property to receive a quote to remove it safely and prevent the spread of this invasive species.